Since its entry in to NATO in 1999, the Polish Armed Forces have been gradually replacing their existing indigenous Russian/WARSAW AFV’s with NATO compatible vehicles. The AHS Krab (crab) SPG is an indigenous development to meet the requirement for a 155mm calibre (the standard calibre for NATO) SPG. Tenders for the project in 1997. Tenders for the project started in 1997. Turrets and their systems from South Africa, Germany, Slovakia and the UK were tested. By 1999 the Polish MoD signed a licence agreement with the UK defence company BAE Systems for the production of the Braveheart turret. 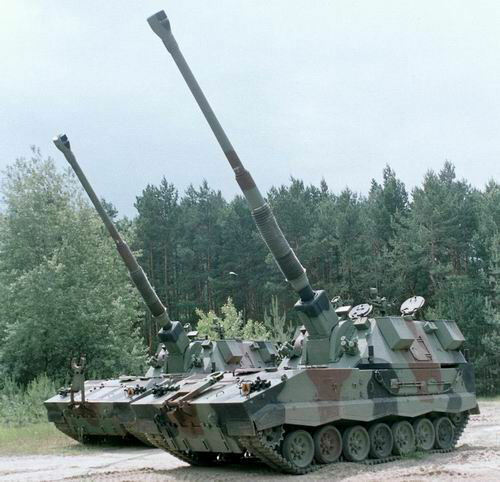 The British Army has used The AS-90 SPG sine the 1990’s equipped with a 155mm Cal Length 39 howitzer. An upgraded turret with a Cal Length 52 howitzer has been developed called “Braveheart”. The Krab uses this turret and the first one was delivered to Poland in 2001. 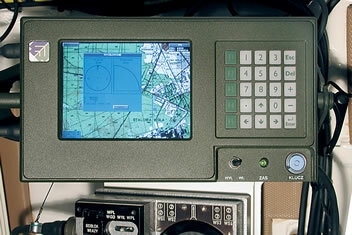 The EPA-NG chassis/hull was already pre-selected, which was developed by OBRUM. This hull was used for the 3 prototypes built. Polish heavy industry manufacturer Huta Stalowa Wola (HSW) are responsible for the final assembly of the Braveheart turret and the EPA-NG hull. The first complete Krab prototype was presented to the public in June 2001. The main guns were not British, but provided by French Firm NEXTER and used on all prototypes. In 2008 the Polish MoD placed an order with HSW for a small number of additional vehicles for other trials. Firing trials continued for some time and a second prototype was built. The first two prototypes used the British supplied Braveheart turret, whilst the third was made ​​entirely by Huta Stalowa Wola. In 2010 fractures in 1 or more of the EPA-NG hulls were found. A report completed in 2011 said the cause was due to the quality of the steel the EPA-NG hull was built from. In July 2011 The third prototypes first firing trials started. The EPA-NG hull took another knock back when production of its S-12U engine ceased. This called for modifications to the engine compartment to fit a German MTU engine. In December 2014 the Polish MoD announced that it had signed a licensing agreement with South Korean Firm Samsung Techwin for production of the companies K9 Thunder SPG chassis/hull, which is in service with the ROKA and also built under licence in Turkey for their T-155 Firtina SPG. The agreement was for 120 chassis. The main gun will be a 155mm Calibre Length 52 Howitzer supplied by German Firm Rheinmetall and able to fire all NATO standard 155mm artillery shells. The turret will be a modified Braveheart with an automated loading system and WB Electronics “Topaz” artillery fire control system. The hull will be a licence built K9 Thunder (some will be delivered from S Korea). Other elements such as the construction work. muzzle brake, cradle, locking wedge will sourced and built in Poland. The expected service entry will be in 2016, but this will probably change.